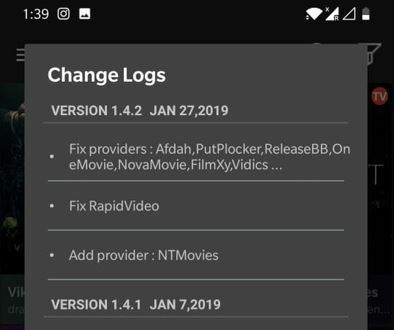 A detailed guide on how to fix the Cinema APK not working on Android, FireStick, TV, and other devices. Resolve your Cinema HD problems with our quick solutions. Cinema APK is the only entertainment app that offers videos or movies streaming for free, without a subscription, no registration, or any other surveys. I never ask you to click on unnecessary advertisements. Yet trying to provide you with a wide variety of features, sometimes Cinema APK may not work. You may experience a few issues like buffering issues, no connection, video not available, Server problems, no subtitles, and more. All these problems are common for any Android streaming app, don’t worry about them. We’re here to help you with few methods to fix these errors. If you’re facing problems while installing it on your device means it may not compatible with your device version or miss configuration. To check the device compatibility, see the table below. You must follow certain procedure to install Cinema APK on various devices. In Android devices, device should be enable with “Unknown Sources” feature. 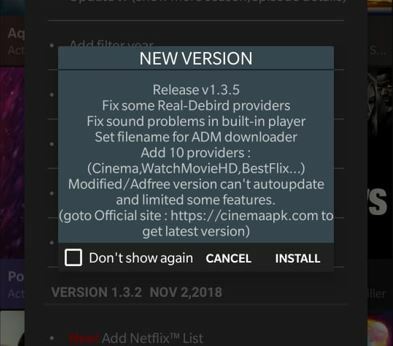 Remember that, it is not officially available for Amazon Firestick devices so, we need to install it as a third-party app. You can follow this guide, How to Install Cinema APK on Firestick (Amazon Fire TV/Cube). Installing Cinema APK on Nvidia Shield is not possible because it needs perform few tweaks. No worries, I had prepared a full tutorial on it. Must follow it. This section will deal about few common and rarely occur errors. Follow the given methods to take this issues down instantly. The first and most common tip is to check whether you’re using latest version or not. If you miss updating the app with the newest version then it causes few glitches and errors. Sometimes, when you try do auto-update, it may lead to failed updating. In that case, uninstall older app and re-install it with new version manually. These errors are not from our side, it completely from server or network side. 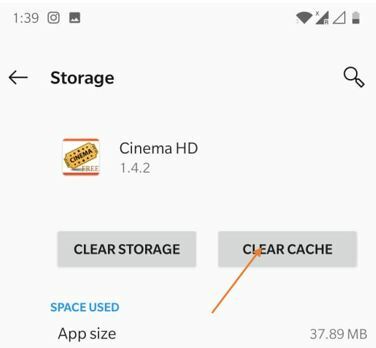 There are a few factors which will affect connectivity with Cinema APK app. Due to heavy traffic on the server, it may crash due to low bandwidth, and it leads for Server error. No Connection: Make sure your device is connected to a strong Wi-Fi connection. Because using cellular data may not help in streaming high-quality videos. Video unavailable / Buffering: If a particular movie a buffering or unavailable then that particular link or source website may be blocked by your country. For this, it is better to use any freemium VPN service for temporary. This type of error is due to cache or storage from our device. Sometimes clearing the cache can be good for the app. If the contents never gets updated means then you’re accessing the cached version. Here’s how to purge a cache. In Android, go to settings -> Apps & Notifications -> Cinema HD. Now, tap on Storage option. Then, tap on “clear cache”. Close all the previous windows of the app and again open it. Successfully, the app gets refreshed and you’ll never see such a problem. Learn how to play a video with subtitles on Cinema HD. Tap on any video or movie. Wait to load all the available links. Tap to open any one stream. Then, choose “Play with subtitles” option, Not just “Play”. Select language from the list, English is my choice. It’ll fetch English subtitles for that video. It’ll start playing a video with subtitles. If you can’t find the “Play WIth subtitles” option. Then, go to app settings -> set the default player to Yes Player. Remember that, if you select “Play” then you’ll never get subtitles while playing. I hope the above methods or techniques helped you to solve your Cinema HD is not working properly. If there are any other than the issue found as I listed above then comment below. We’re ready to help you. Been using this app for months with no issues. Today (feb 2) I was forced to update to 1.4.2=3, but when I try to do the update all I get is there was a problem parsing the package. Tried to delete and reinstall with no luck. Tried to completely avoid the update and again no luck. Basically it’s become useless now. Similar to the previous comment, I have used the app, and it’s been great, but with the new update, I cannot cast to my TV. I can play the movies on the phone, and I can connect to chromecast, but when choosing “cast” to play the movie on the receiving device, it does nothing. As if I didn’t press “cast” at all. Please look into the new update, I have troubleshot the chromecast and my connections. Hi. Downloaded the latest update (1.4.6?) for firestick. Mostly working great, but some shows are not updating. For example, Watch What Happens Live has not updated since 02/07/19. Is there a way to get a particular show to update? I have been using this app for a long time however with recent updates I can see movies listed only under New HD release category. For the rest of the categories like science fiction, fantasy etc. I get an error as sometimes server has been died…. with a sad face icon. Also, I am unable to get any results if I use the search option even though the movie is reflecting under New HD release category. Please let me know how to fix this issue.